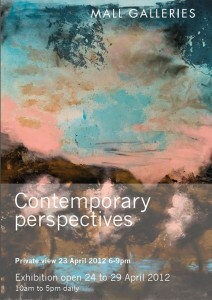 Contemporary perspectives is an ongoing programme of exhibitions presented by the Mall Galleries in the new Threadneedle Space. The series will examine a range of familiar themes that continue to inspire both artists and audiences. Recognising the Mall Galleries as the established home of figurative art, Contemporary perspectives will examine work by emerging and established artists who continue to explore traditional themes by provoking and playing with our preconceptions. This inaugural exhibition will present works from each theme, introducing their current relevance and creating a contemporary context for these familiar subjects. Contemporary perspectives will be the first series of exhibitions presented by the Mall Galleries their new Threadneedle Space, introducing the gallery as an important platform for contemporary figurative art. The conversion of the east gallery into The Threadneedle Space involved stripping back both the ceiling and walls to expose the original carriage building, and opening up the arched windows that look on to the Mall. Artists exhibiting include the renowned Australian artist Tony Clark (Murray White Room, Melbourne), Gemma Anderson (2011 Residency,Imperial College London), Louise Balaam (New English Art Club), David Cass (Contemporary Watercolour Exhibition winner wp-content/2012), Jessie Campbell (currently studying MA Printmaking, Camberwell), Bella Easton (Celeste Prize finalist 2010), Laurence Edwards (Messum’s), Katie Elder (2009 Ambassador at Truman Brewery)… and many others.